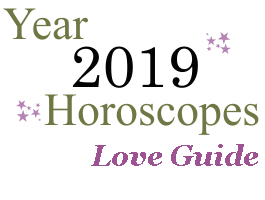 A horoscope guide to the year ahead for love, romance, and relationships for Cancer and Cancer Ascendant. In 2019, Saturn forms a wonderful link to Neptune, and Neptune is currently a long-term guest in your sector of expansion, foreign connections, education, publishing, sharing ideas, long-distance travel, and adventurous non-routine activities. This can point to wonderful experiences that expand your mind with a partner or leading to a long-term relationship. Doing things outside of your routine can be inspiring, perhaps leading to a partnership or enhancing an existing one. You may be connecting with people who are not your usual “type” or who have a vastly different background than you. There can be rewarding connections with extended families or in-laws for some of you. Pairing up to publish, study, or travel can be in focus and successful. Some may be meeting partners through belief systems, travel, or higher education. Uranus moving into your social sector from March 2019 forward more permanently (until 2026!) points to lively, unusual, and exciting friendships. It can also point to disruptions and unreliability in your social life, as well as off-and-on friendships. While Venus transits your romance sector from January 1-6, 2019, your charm is easy and natural. It’s a playful, lighthearted, and magnetic period for love, particularly for casual love affairs. Your powers of attraction run high. Love comes to you rather than your having to pursue it. While Venus once again transits your romance sector from October 9-November 1, 2019, your charm is easy and natural. It’s a playful, lighthearted, and magnetic period for love, particularly for casual love affairs. Your powers of attraction run high. Love comes to you rather than your having to pursue it. This is augmented around October 23-24 when Venus in your romance sector harmonizes with Pluto in your partnership sector. This transit comes on the trail of Eros’ transit of this same sector, effectively extending your magnetic appeal. Mars transits your romance sector from November 19, 2019, to January 2, 2020, and there can be sparks flying in a romance, sometimes challenging, but certainly more exciting than usual. Look to December 11-22 for a super opportunity period to go after what or who you want. This influence overlaps with an Eros transit through your partnership sector, boosting desires up even further. Dec 2, 2018 (Nov 30, 2018 to Jan 7, 2019) Ven 5th H.
Jan 7, 2019 (Jan 6, 2019 to Feb 3, 2019) Ven 6th H.
Feb 3, 2019 (Feb 2, 2019 to Mar 1, 2019) Ven 7th H.
Mar 1, 2019 (Feb 28, 2019 to Mar 26, 2019) Ven 8th H.
Mar 26, 2019 (Mar 25, 2019 to Apr 20, 2019) Ven 9th H.
Apr 20, 2019 (Apr 19, 2019 to May 15, 2019) Ven 10th H.
May 15, 2019 (May 14, 2019 to Jun 8, 2019) Ven 11th H.
Jun 8, 2019 (Jun 7, 2019 to Jul 3, 2019) Ven 12th H.
Jul 3, 2019 (Jul 2, 2019 to Jul 27, 2019) Ven 1st H.
Jul 27, 2019 (Jul 27, 2019 to Aug 21, 2019) Ven 2nd H.
Aug 21, 2019 (Aug 20, 2019 to Sep 14, 2019) Ven 3rd H.
Sep 14, 2019 (Sep 13, 2019 to Oct 8, 2019) Ven 4th H.
Oct 8, 2019 (Oct 7, 2019 to Nov 1, 2019) Ven 5th H.
Nov 1, 2019 (Oct 31, 2019 to Nov 25, 2019) Ven 6th H.
Nov 25, 2019 (Nov 24, 2019 to Dec 20, 2019) Ven 7th H.
Dec 20, 2019 (Dec 19, 2019 to Jan 13, 2020) Ven 8th H.
Jan 13, 2020 (Jan 12, 2020 to Feb 7, 2020) Ven 9th H.
Find out about your year ahead with a comprehensive 2019 Personalized Horoscope Report—over 100 pages long—for a detailed guide to your best days and your most challenging days for attracting love, career success, communication, and more, for only $7.95; Romantic Compatibility Report (choose from a selection); Sky Log Report for $5.95; or a detailed Solar Return Birthday Report for $4.95.